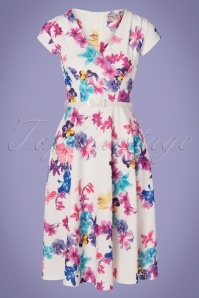 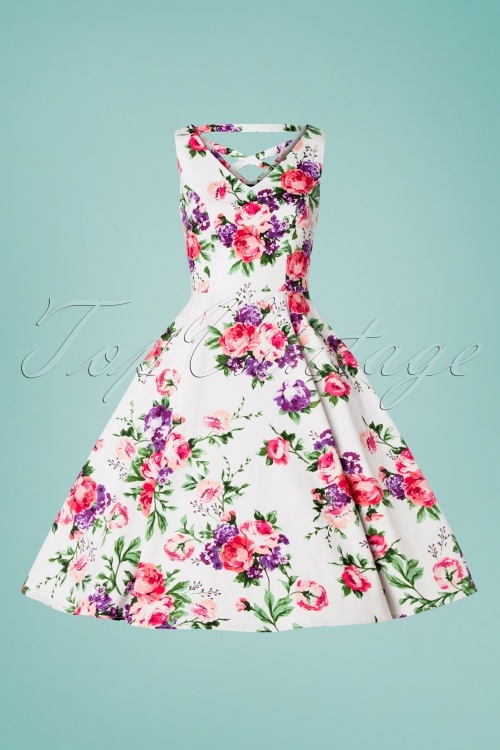 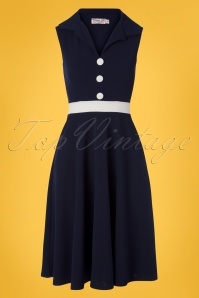 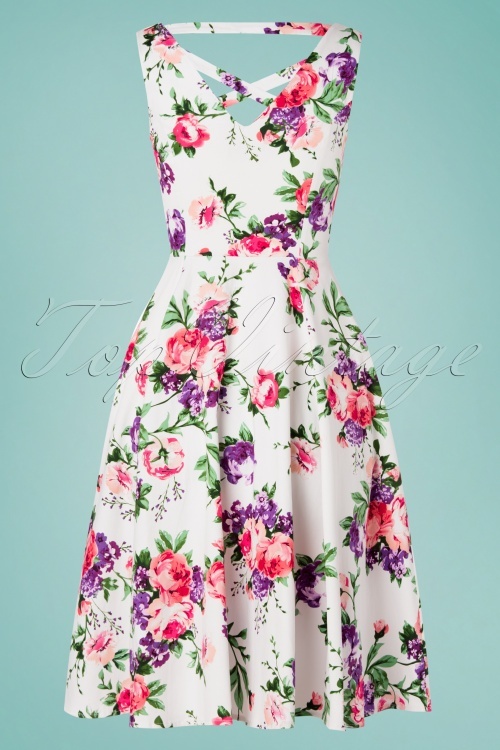 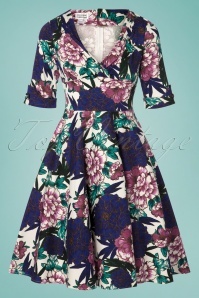 New spring/summer collection ~ You will catch many a favourable look in this 50s Rose Paradise Swing Dress in White! 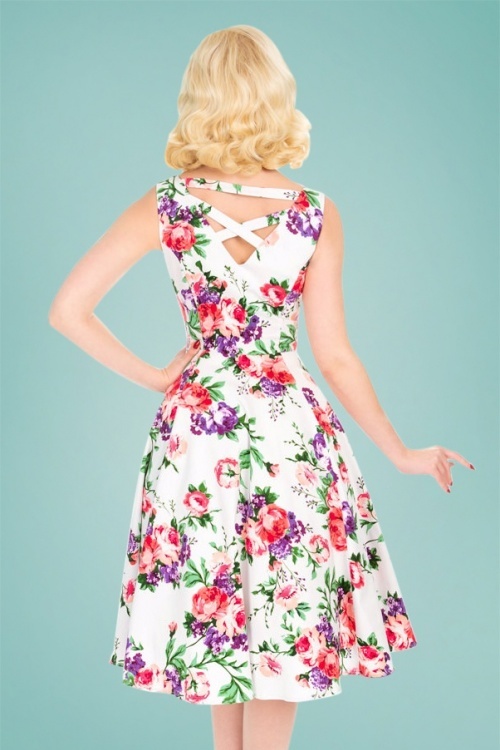 The fitted top features an elegant V-neckline at the front and a stunning V-back with cross-over straps. 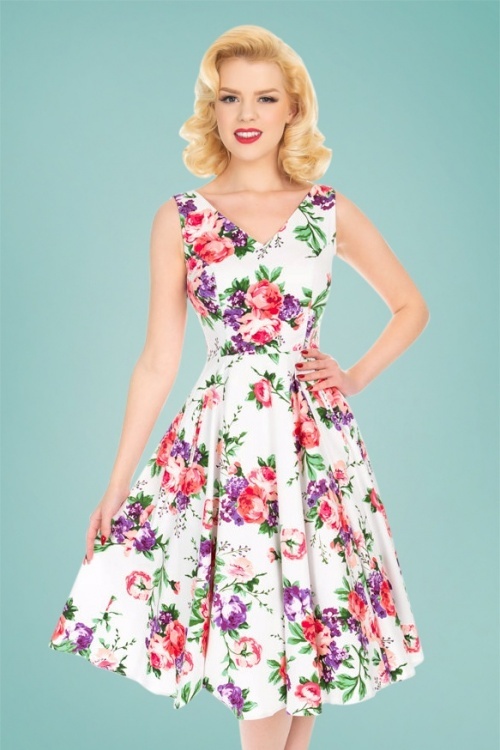 From the waist down she flows into a full swing skirt creating a super feminine silhouette. 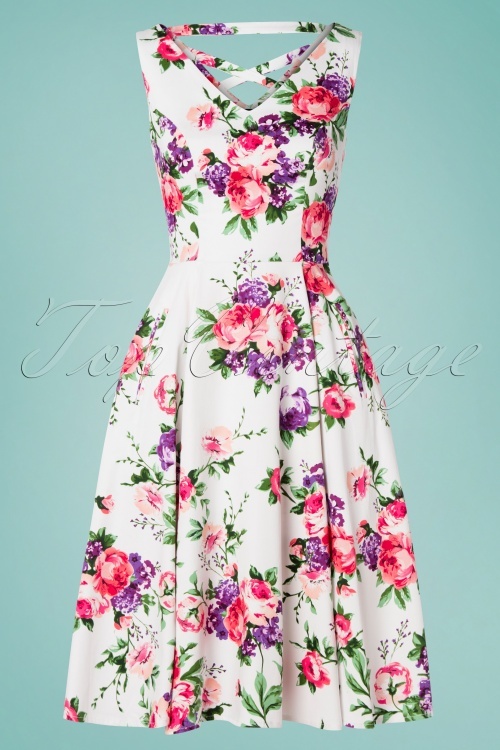 Made of a sturdy, yet breezy, white cotton blend with a light stretch and a colourful rose print for a lovely fit. 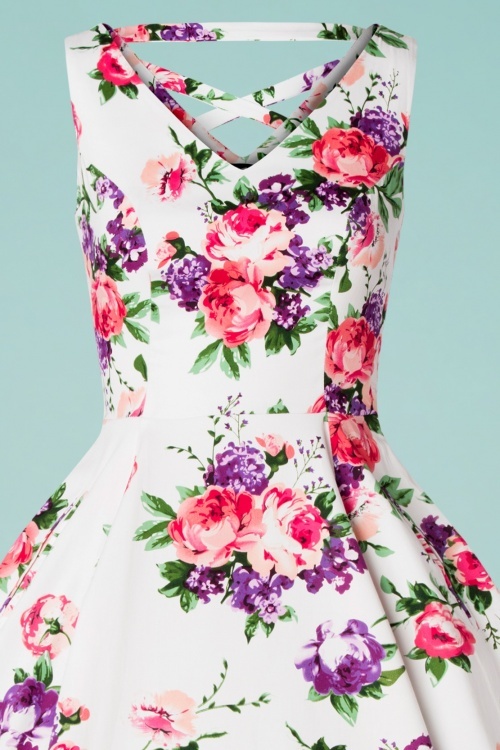 Pair with some pretty heels and you're ready to take centre stage!